Our substitution worksheets were created to help students master this complicated area of maths. 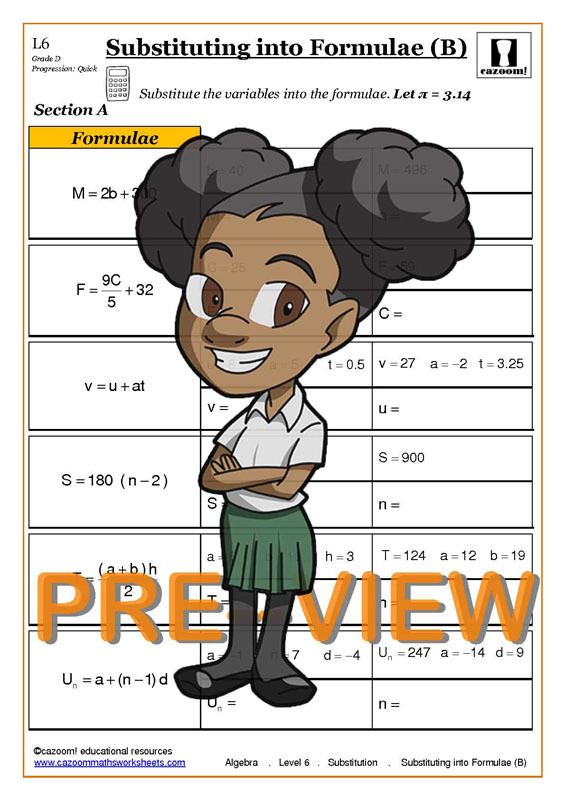 We have resources available which cover substituting numbers into formulae, magic squares, using negative numbers and more. 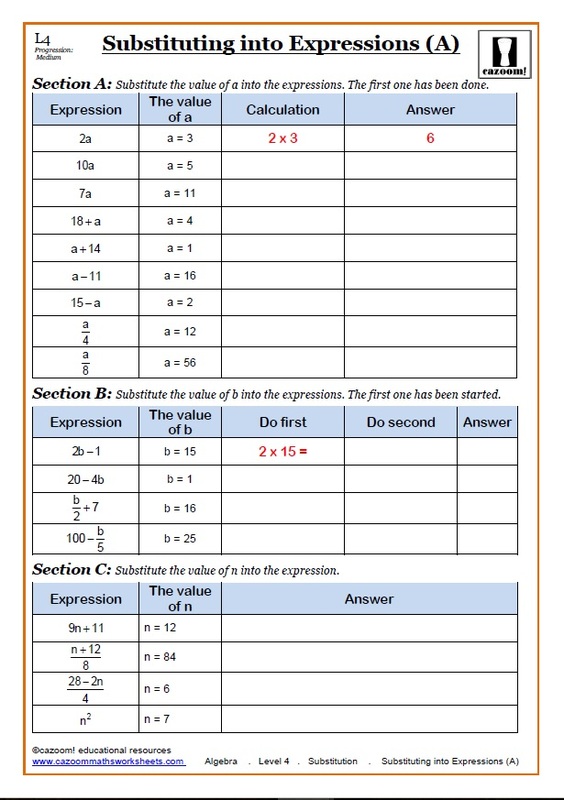 All of the worksheets we offer are presented clearly, making the topic of substitution easy to understand. There are many methods to approach substitution, and our worksheets will ensure your child or pupil is confident on them all. 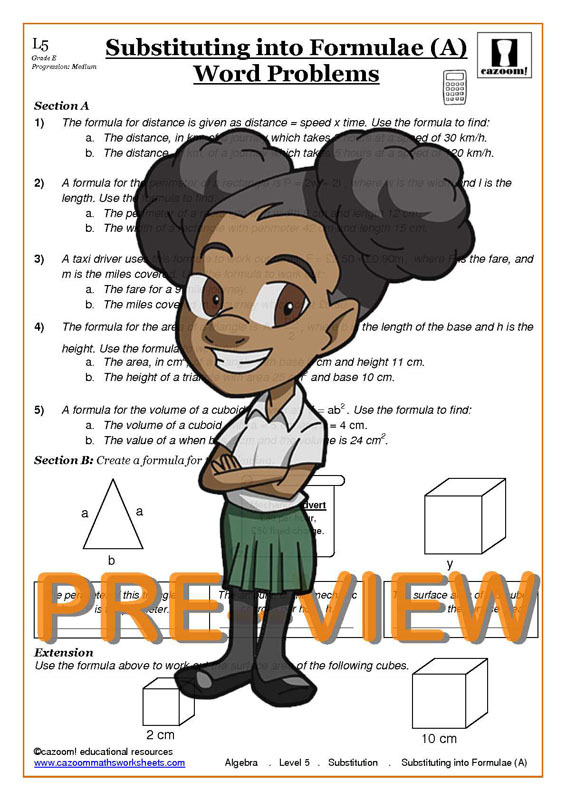 For informative worksheets suitable for all abilities there is no substitute for Cazoom Maths! 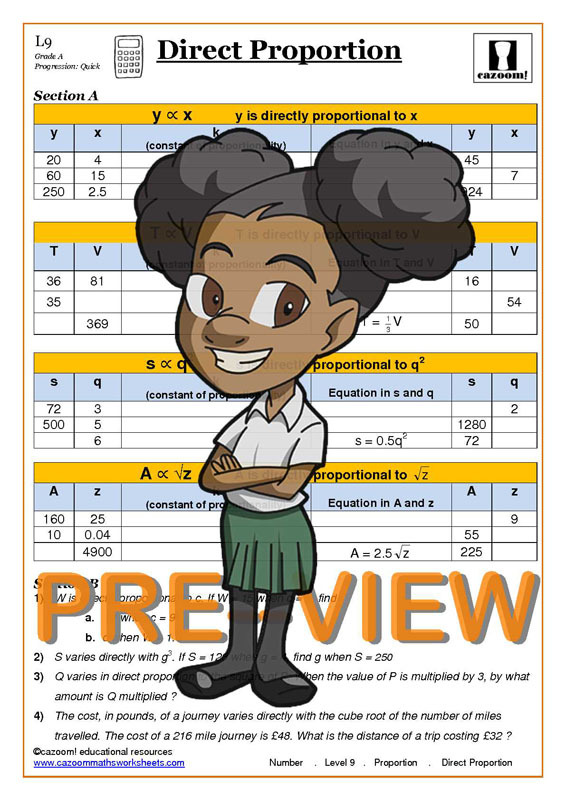 We have problem sheets available which cover all areas of substitution, including worksheets on inverse proportion and direct proportion. 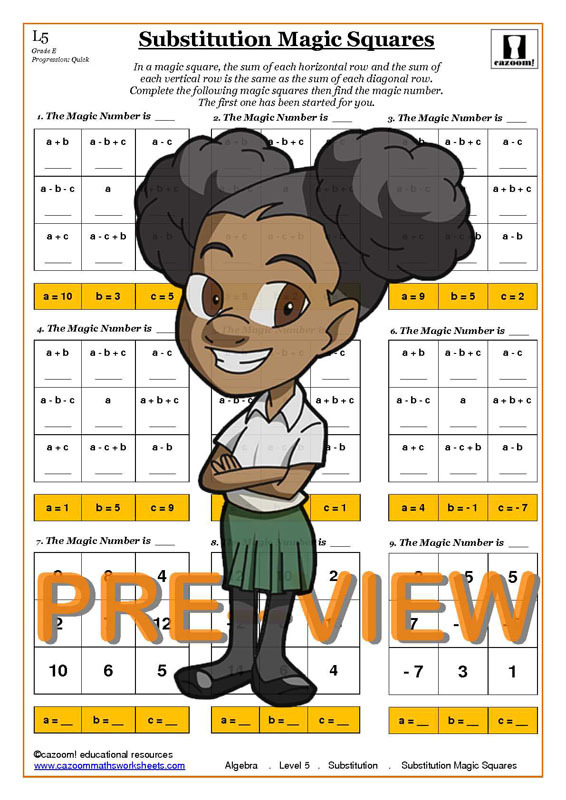 The resources we offer at Cazoom Maths will aid students’ understanding of substitution and make it enjoyable, through activities like magic squares and worded examples. Our worksheets equip students with the skills and knowledge they need to use substitution for any expression they come across. Learning substitution is the key to success in algebra. In algebraic formulae, numbers are substituted for letters, so learning to decode equations by substituting letters for numbers is a logical step. 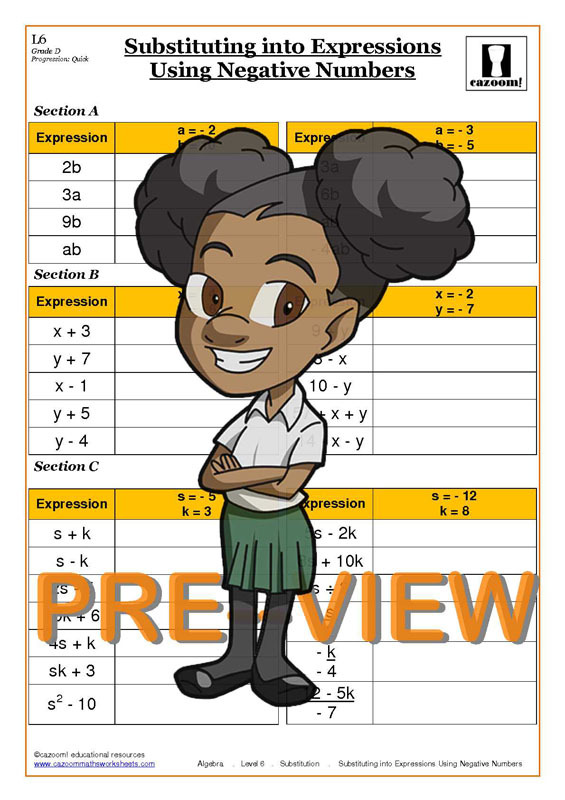 Knowing how to substitute into algebraic expressions is a very useful skill which will help children when they approach more complicated algebra based questions. 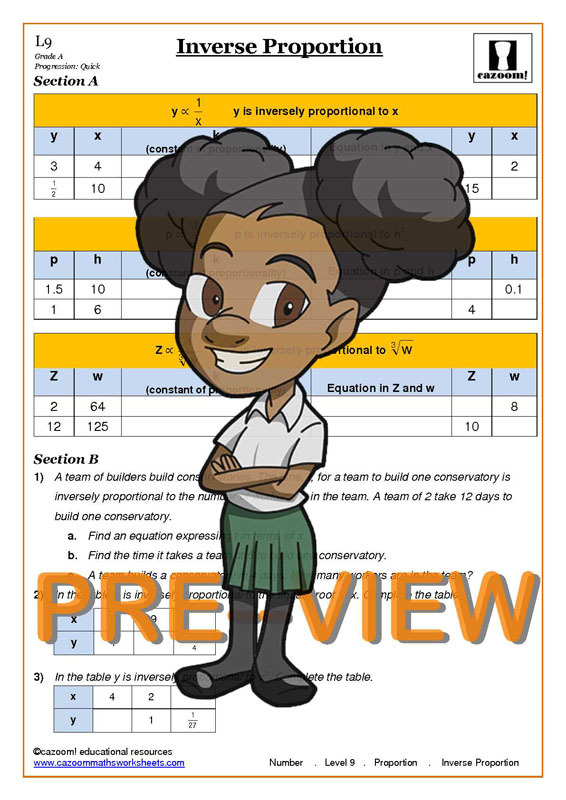 Substitution lays the foundation upon which students’ algebra knowledge can be built, so it is important to use quality worksheets to help them practice their skills and consolidate their knowledge. 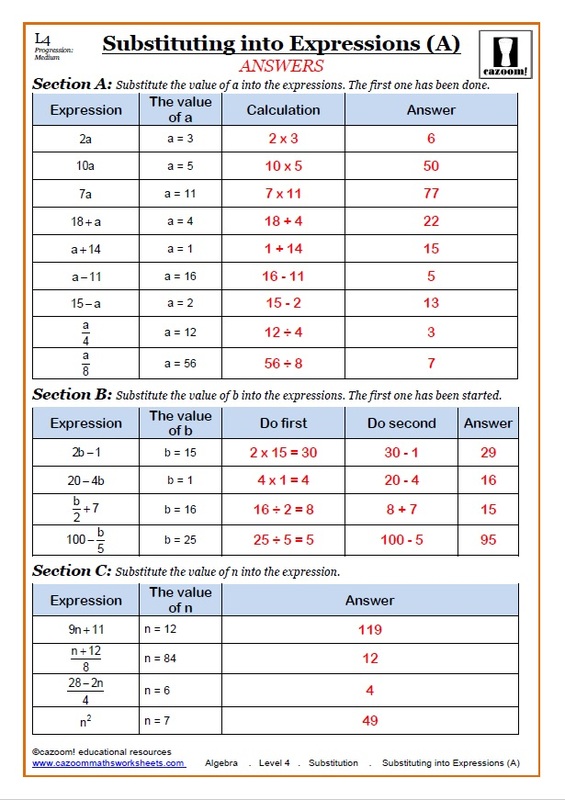 Substitution forms part of the GCSE curriculum, so if students master this method they will be more confident when approaching their exams. Substitution worksheets make excellent revision materials, as they contain engaging activities which will help students enjoy the topic. If a student enjoys completing substitution activities, they are likely to learn this important skill much faster, and when exam time rolls around, they won’t be worried because they have become substitution experts. 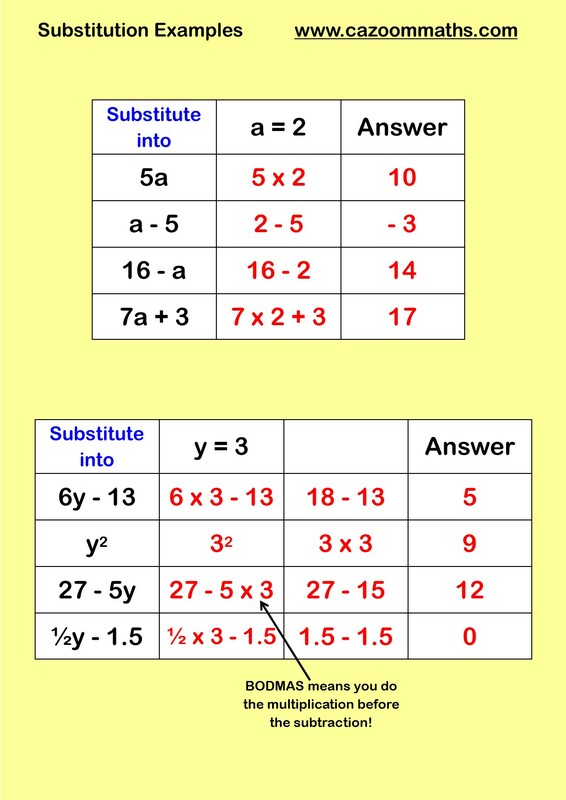 Substitution is a useful technique to use whenever someone encounters an algebraic equation. 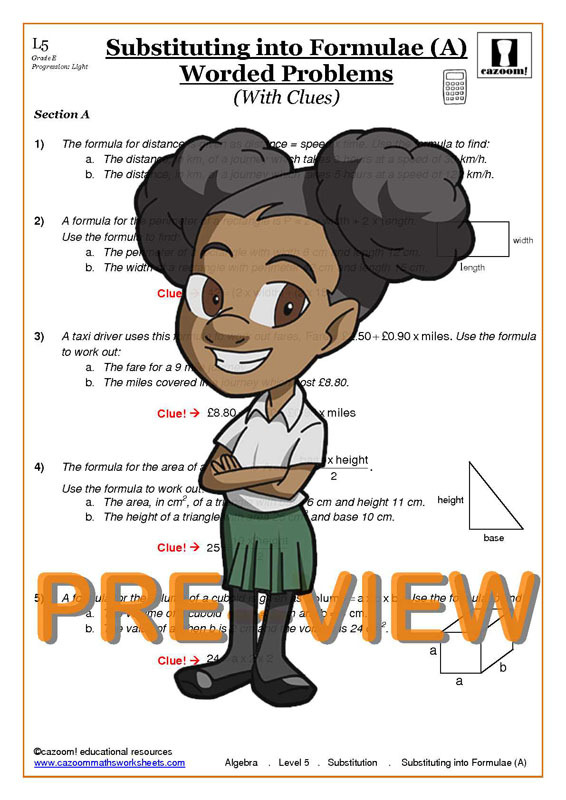 This might not even be in maths: there are many applications of algebra in science, computing and even healthcare, so all professionals working in these areas will have to be confident with substitution. 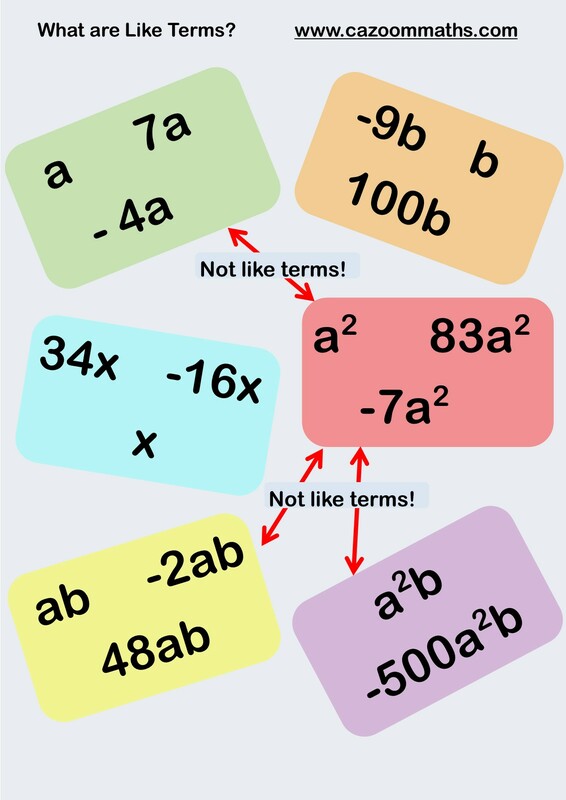 If maths students wish to follow any of these career paths, they will need to pass their maths GCSE, and to do that they will need to know how to substitute into algebraic expressions.